Dubai, UAE - 13 October 2018: Daikin, the world’s leading Japanese heating, ventilation, air conditioning and refrigeration (HVAC-R) solutions manufacturer, is looking to expand its sales network in the UAE. 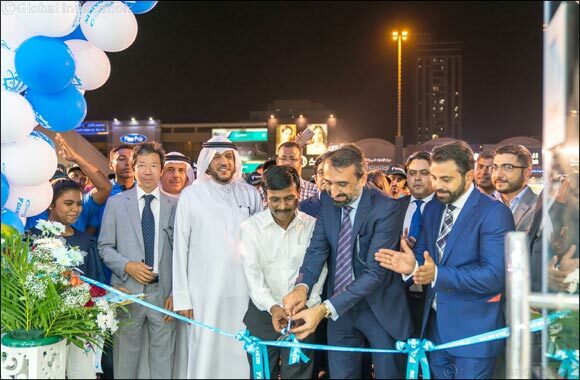 In collaboration with AlDaman Electrical Equipments, Daikin’s authorized dealer in RAK, the brand opened its first exclusive showroom in Ras Al Khaimah, with multiple showrooms planned for launch in the coming months in other emirates. “Daikin’s growth stands on three main pillars; the brand’s reputation as a global leader; superior products that provide comfort, efficiency and lower energy bills; and a strong dealers network that is capable of representing the Daikin brand. AlDaman is a great example of that,” said Tuna Gulenc, Vice President – Sales, Middle East and Africa at Daikin. The new showroom located in Al Nakheel offers solutions to house owners with creative interior design air-conditioning needs in the UAE. It will feature the complete Daikin Inverter Direct Expansion (DX) and Variable Refrigerant Volume (VRV) ranges. Daikin is a global pioneer in HVAC solutions, providing products that are energy efficient and environment friendly. The Japanese company is famous for innovation including the invention of the VRV system in the 1980’s. It employs 70,000 people worldwide and has 90 global production bases and presence in 150 countries.